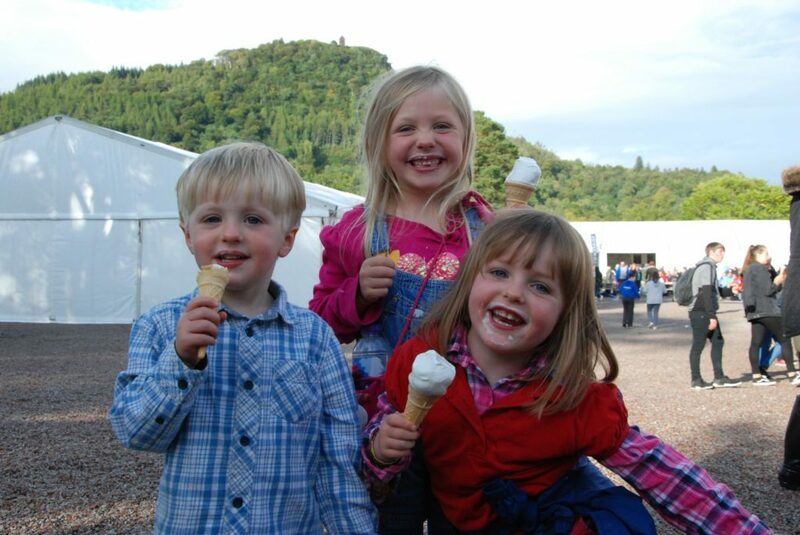 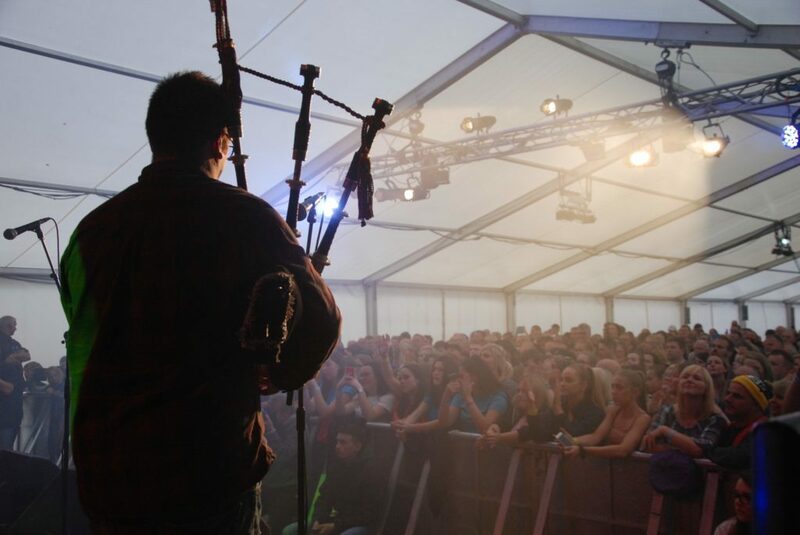 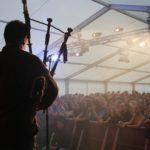 Set in the stunning grounds of Inveraray Castle, Best of the West is a firm favourite in the Scottish festival calendar. 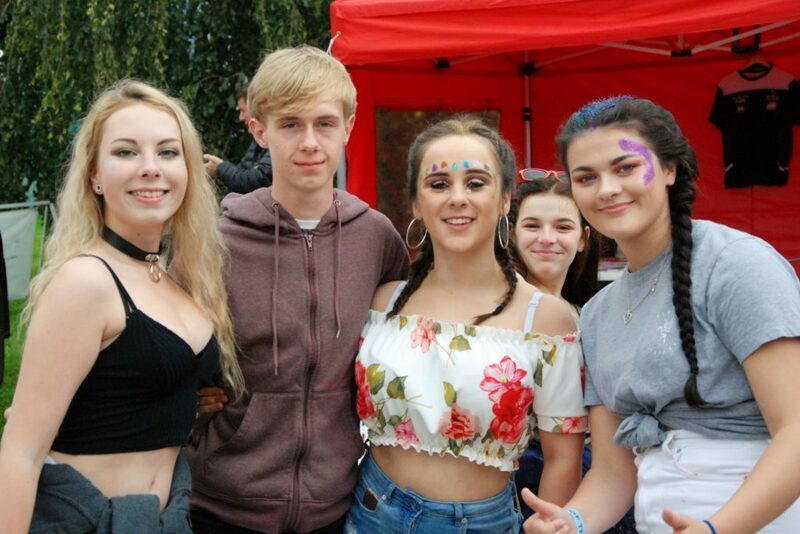 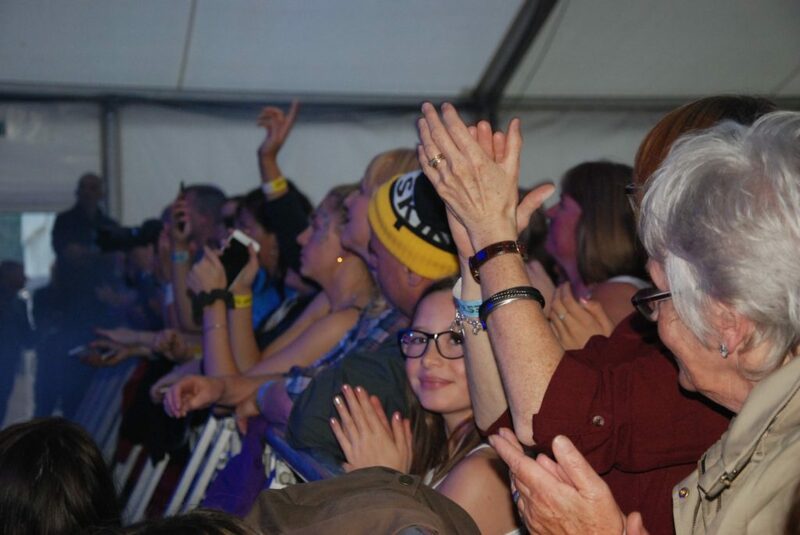 People of all ages came to enjoy the three-day celebration of the best in music, food, drink, arts and crafts – and family fun. 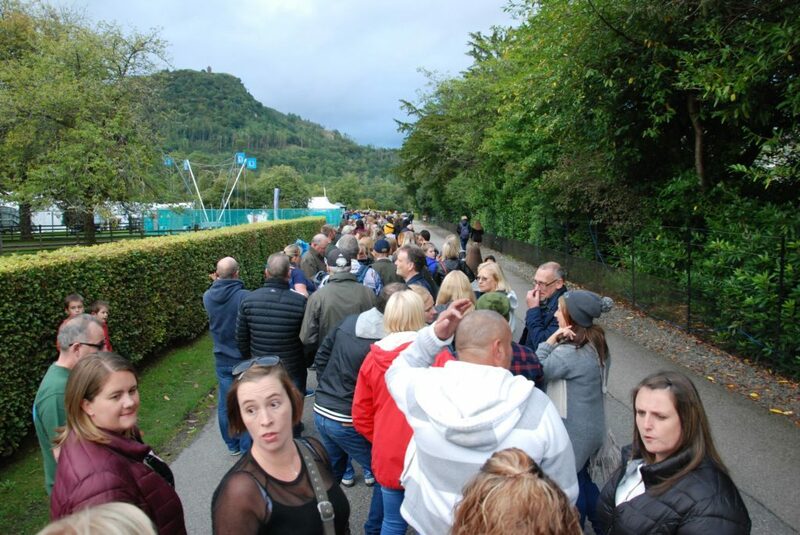 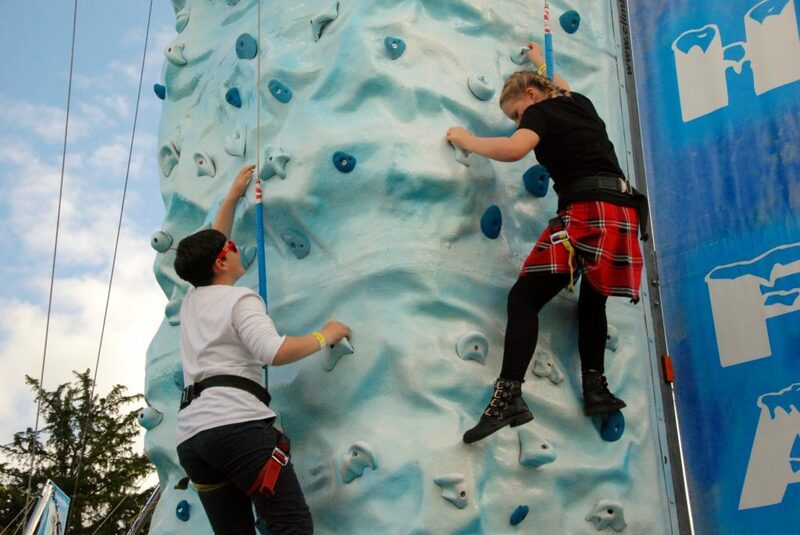 The weather gods were merciful for the Friday September 7 opening, featuring big crowds and a cracking atmosphere in anticipation of a great weekend of entertainment. 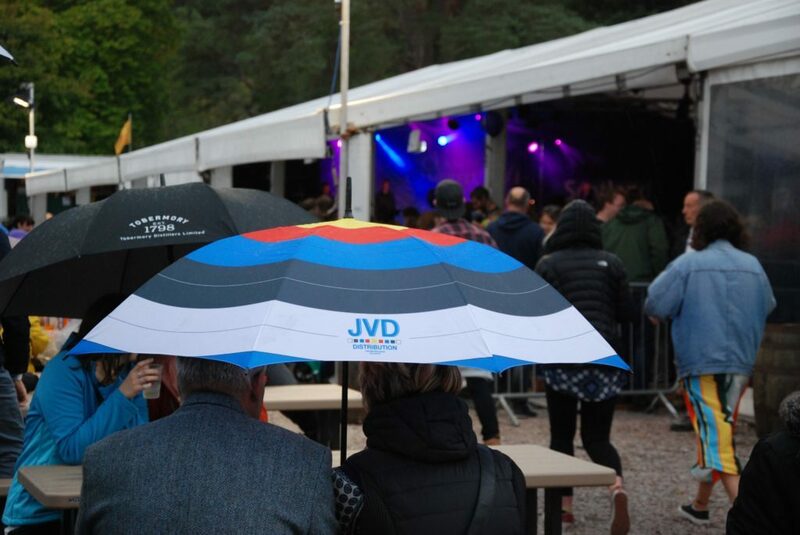 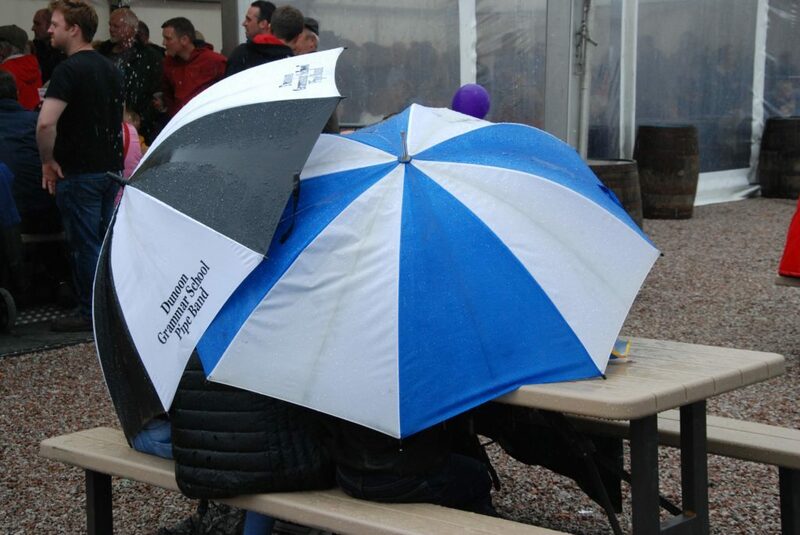 And, the odd heavy Sunday shower aside (to wash away the Saturday cobwebs), the weather stayed fine for the whole event. 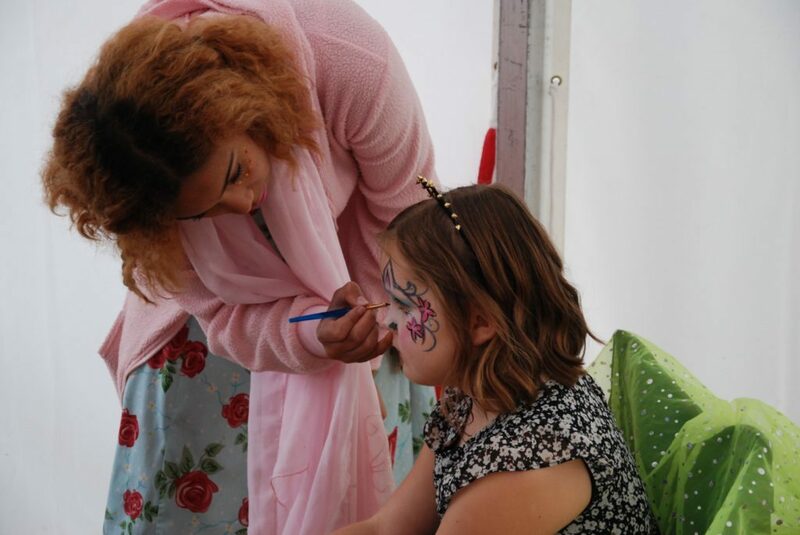 For the kids there was face painting – also surprisingly popular among mildly lubricated adults – as well as the ever popular climbing wall, dancing teacups and much more. 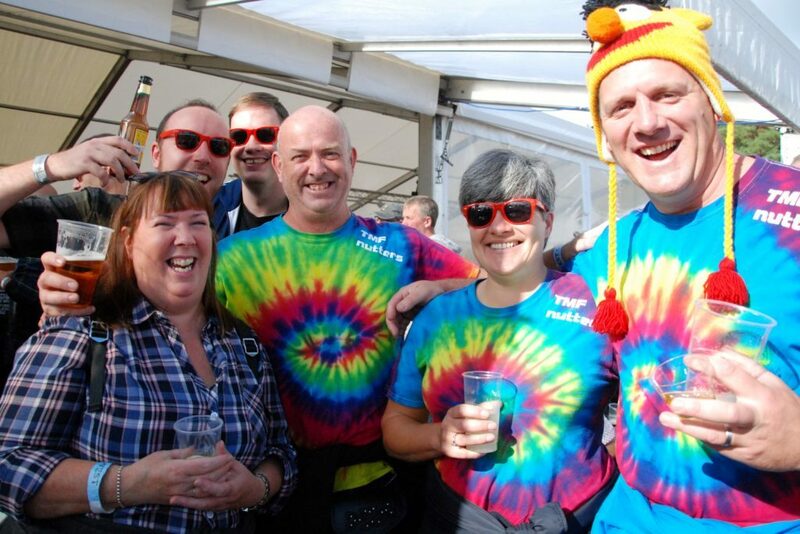 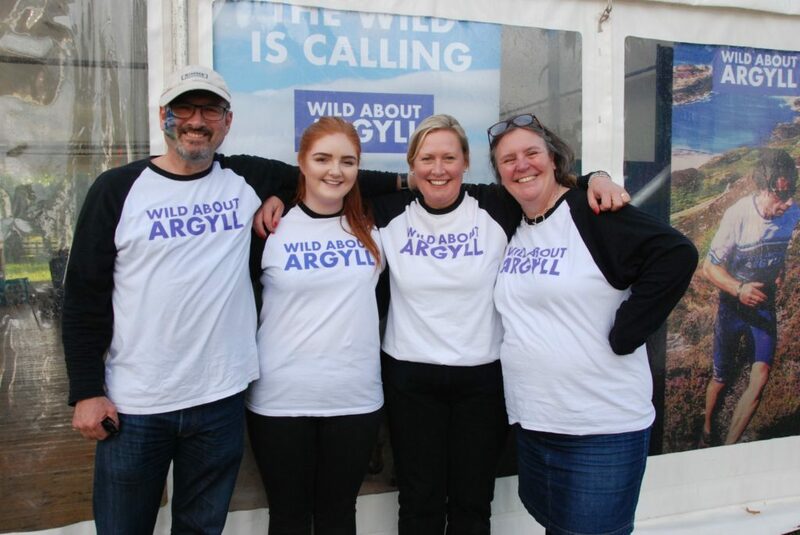 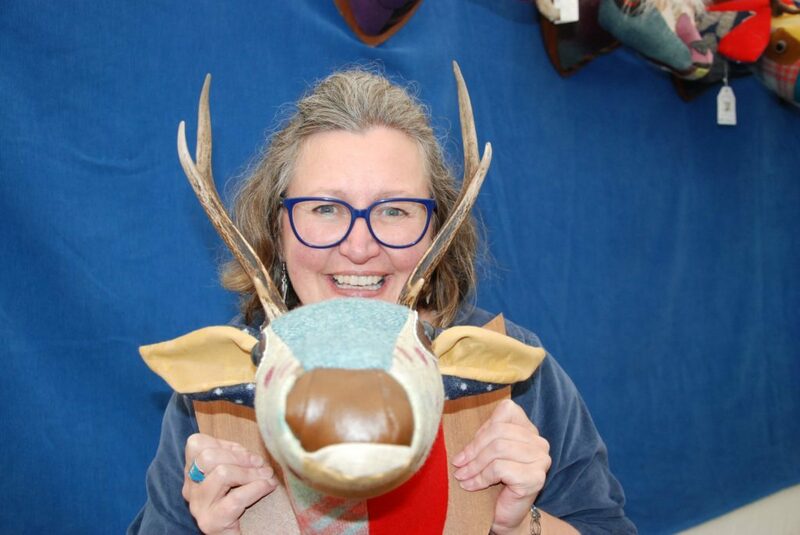 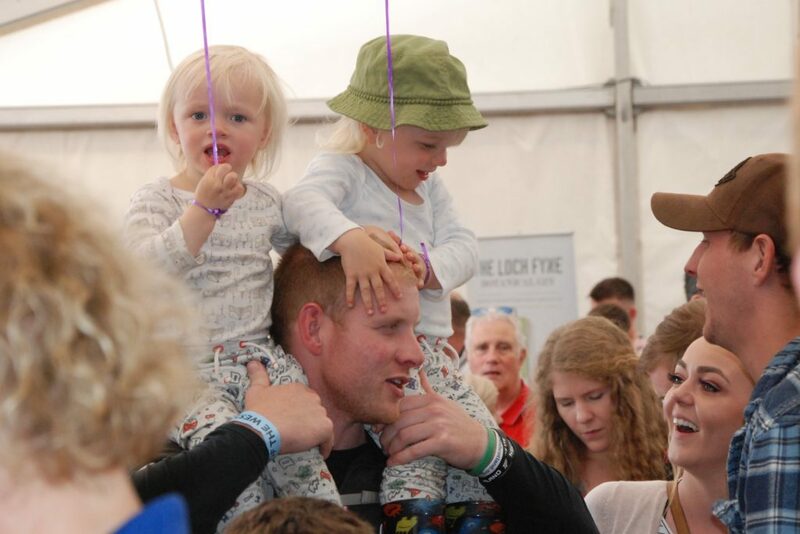 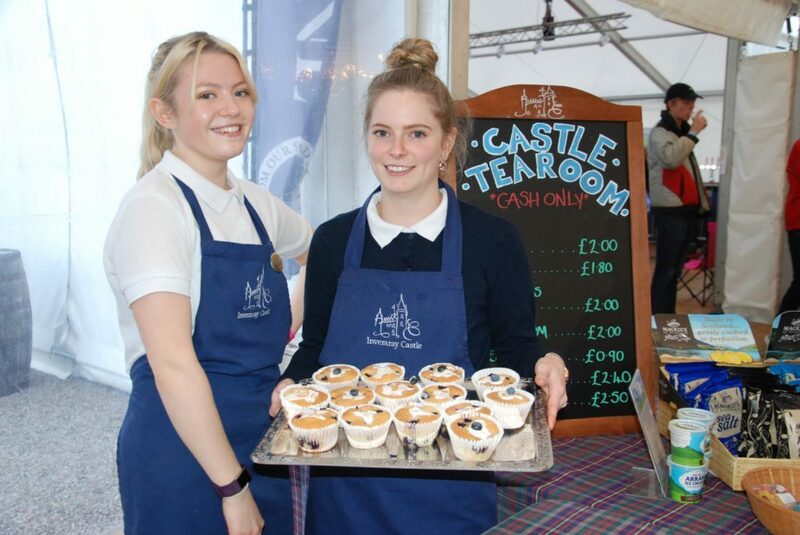 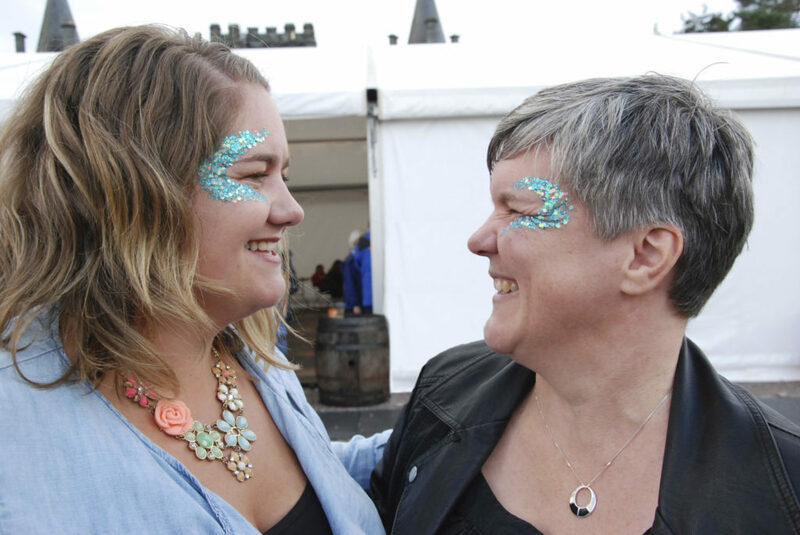 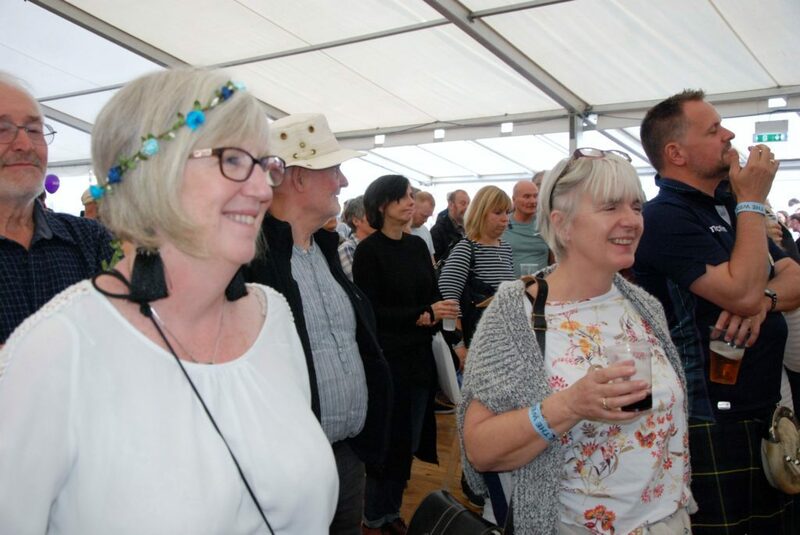 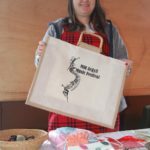 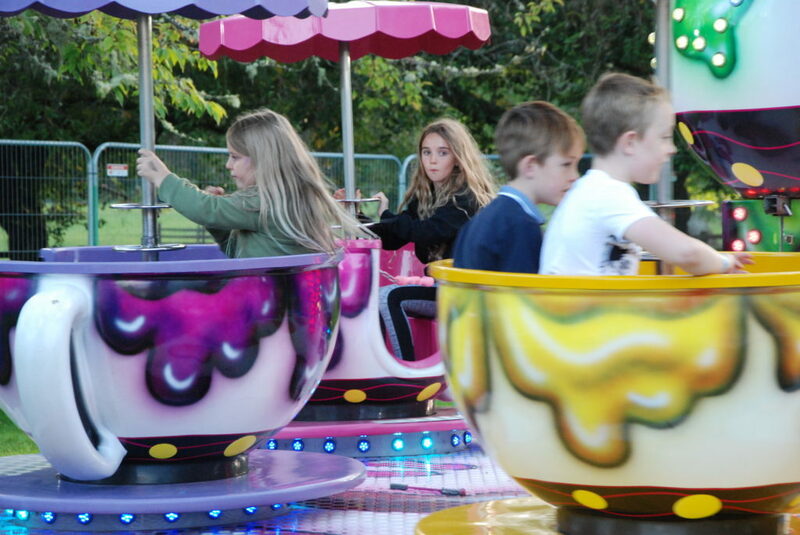 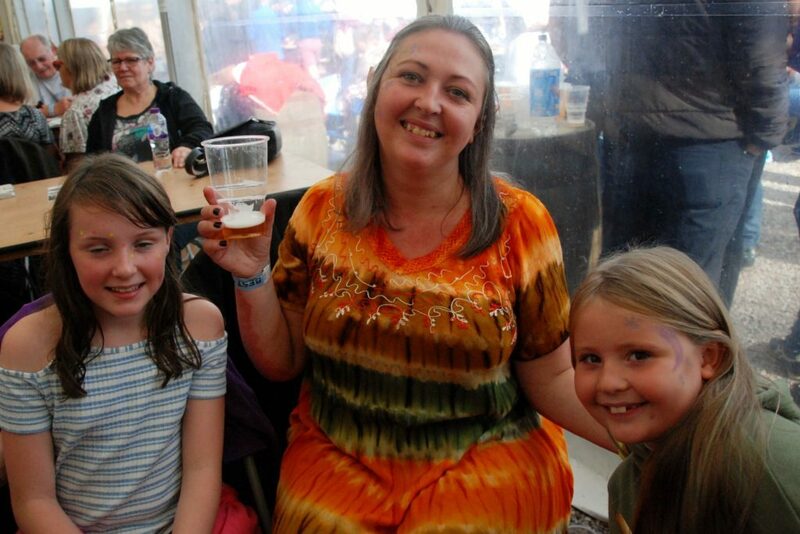 Top-notch fare in the Food from Argyll tent proved as big a draw as it does every year, while local artists showcased a myriad of crafts and artwork in their own popular marquee. 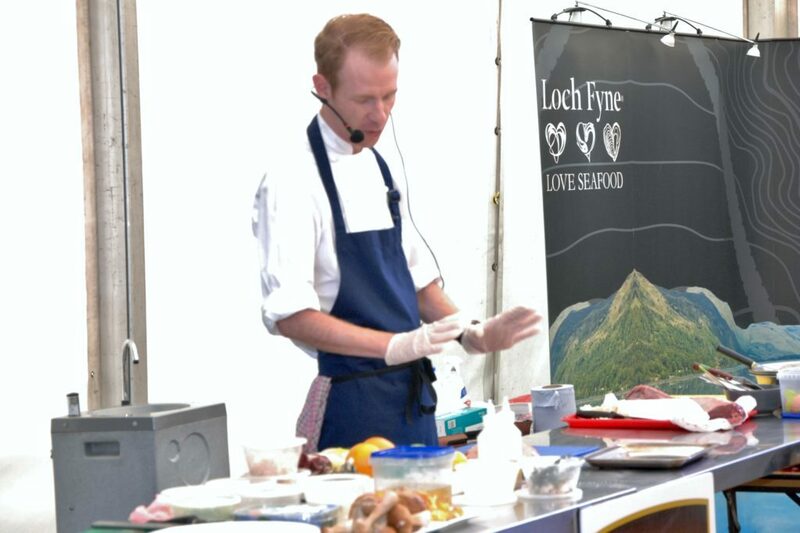 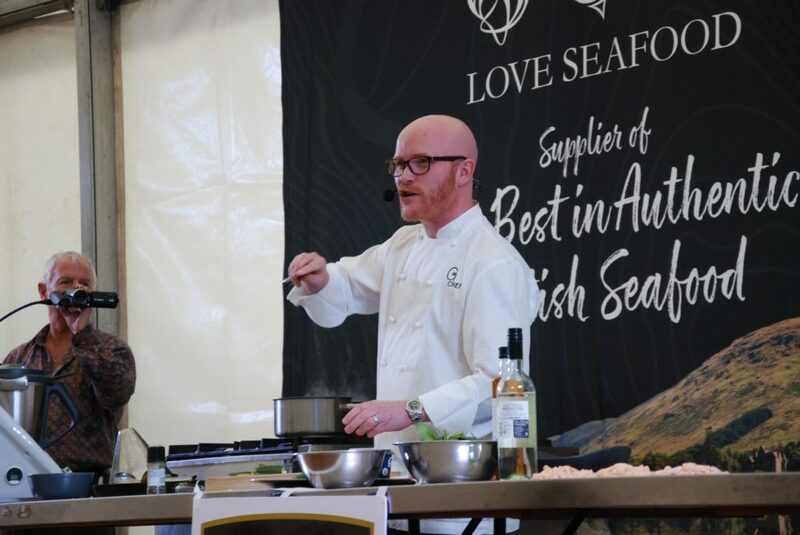 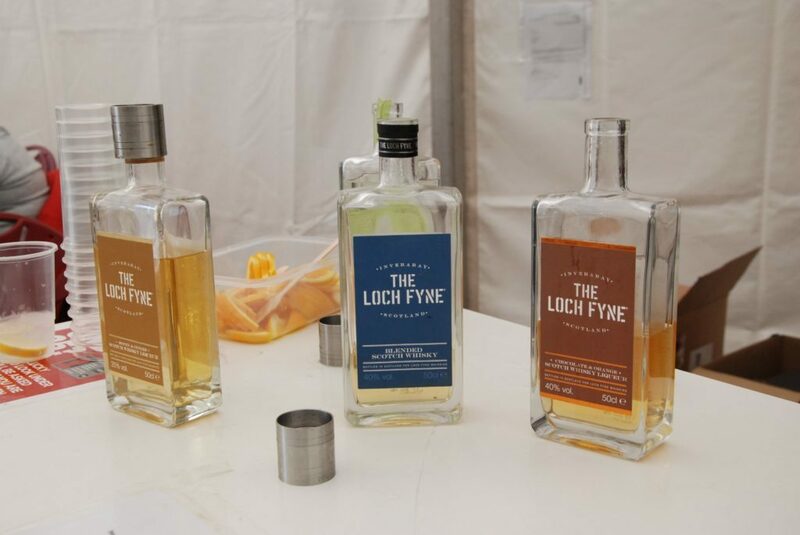 Top chefs from award-winning restaurants showed off their skills in the Festival Kitchen, including Calum Hall, head chef at Loch Fyne Oysters, Samphire chef and owner Andrew MacLugash and Masterchef 2016 winner Gary MacLean. 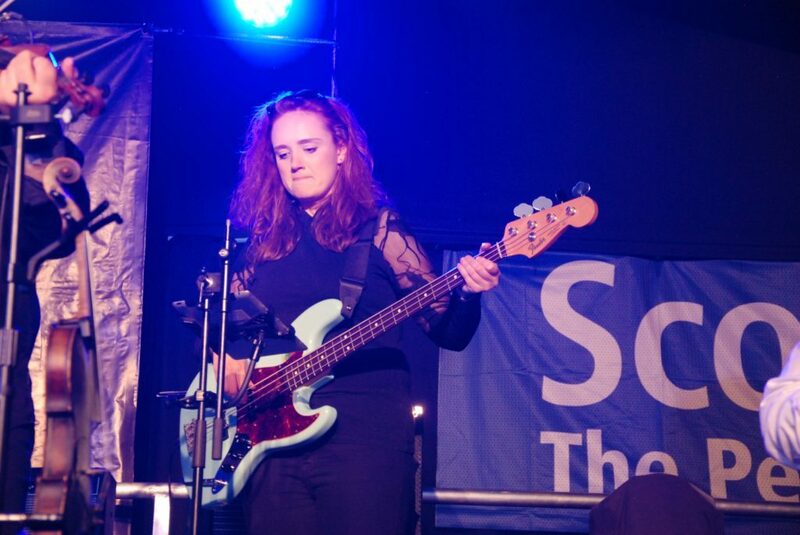 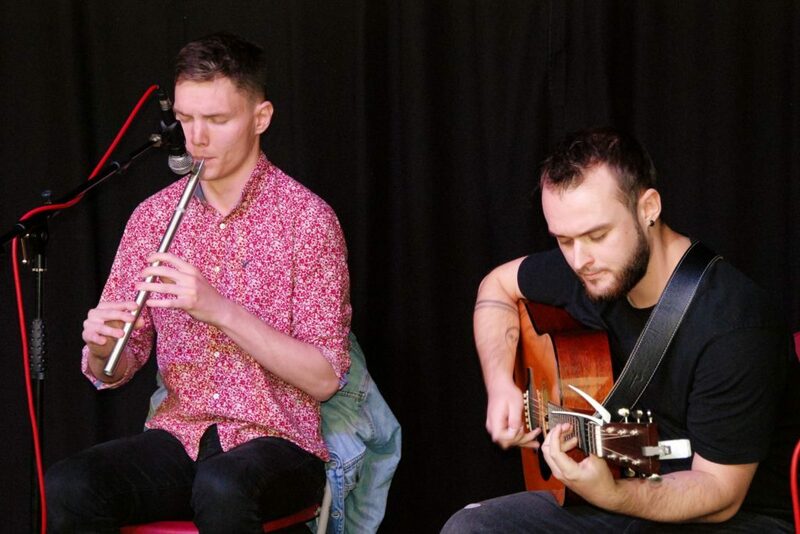 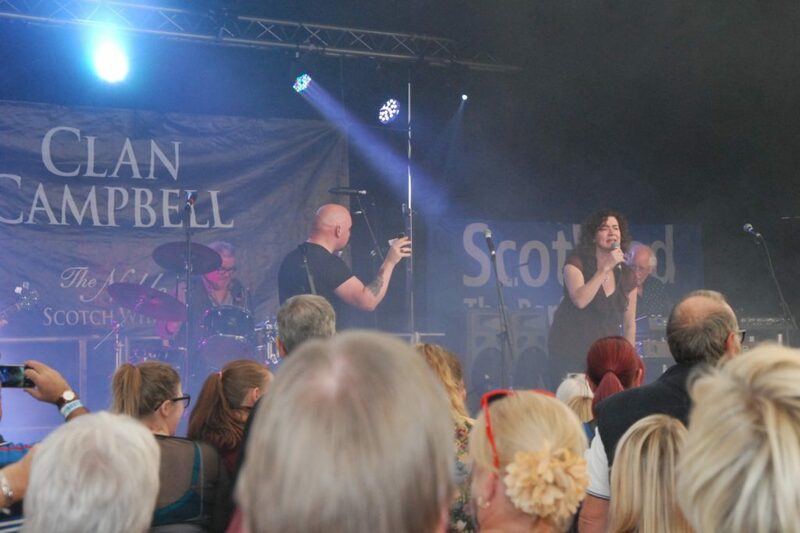 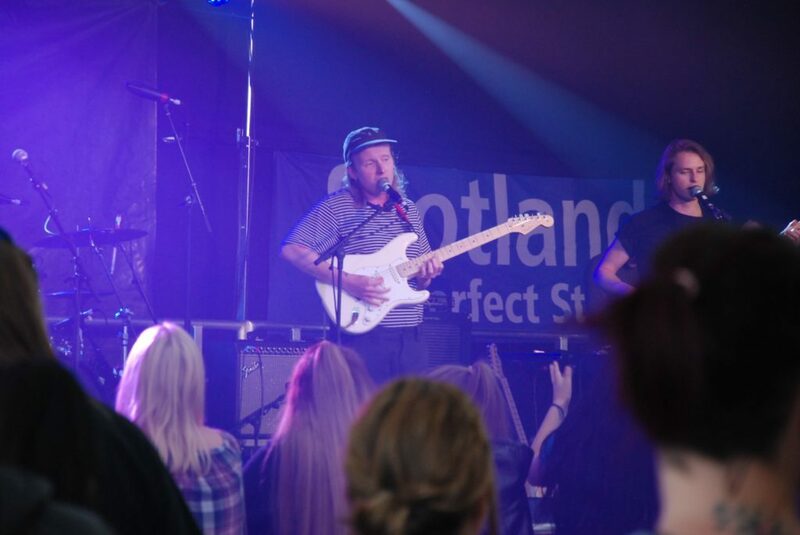 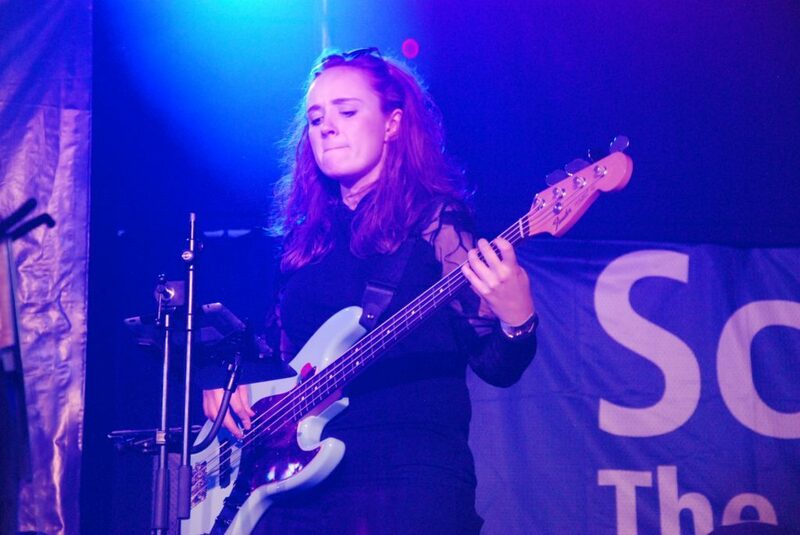 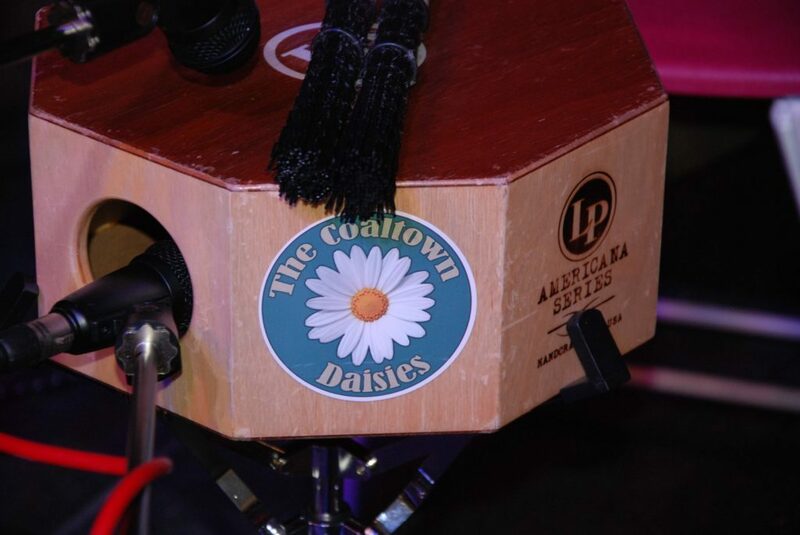 With 24 bands performing across the two stages, this was a real musical treat in relaxed surroundings. 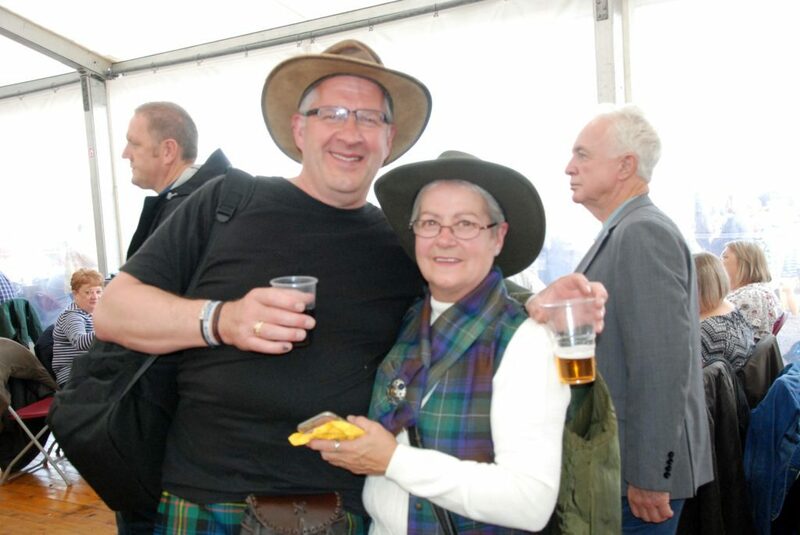 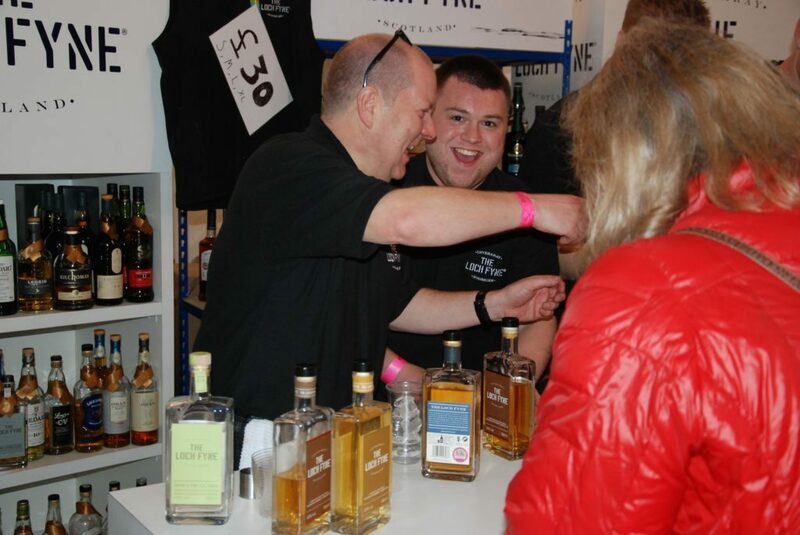 Music and the amber nectar poured from the Whisky tent in a mellow blend of conviviality. 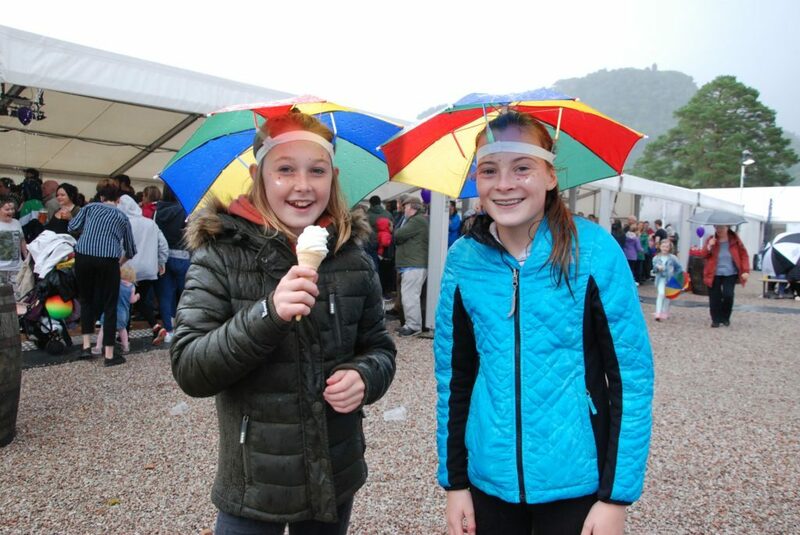 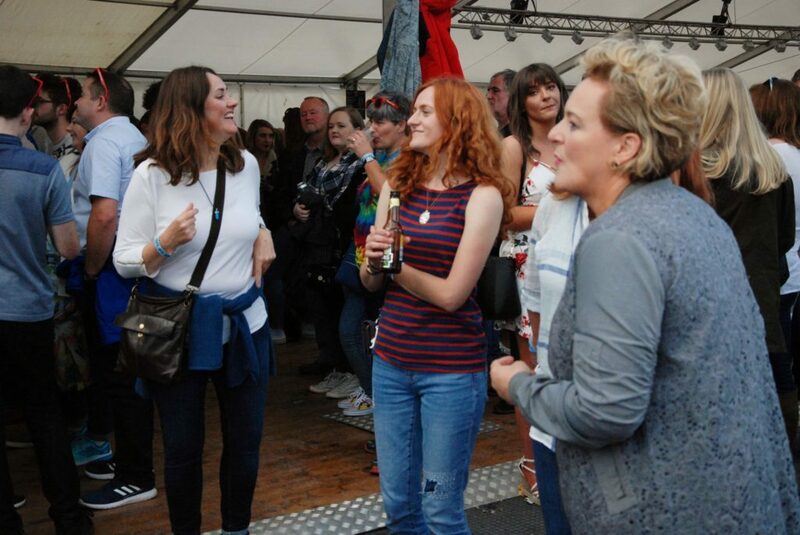 Mid Argyll’s Bar None Community Choir were excellent, as were duo Holly Renton from Inveraray and Lochgilphead’s Tiegan Holroyd bringing their soft, melodic tones to the festival once again. 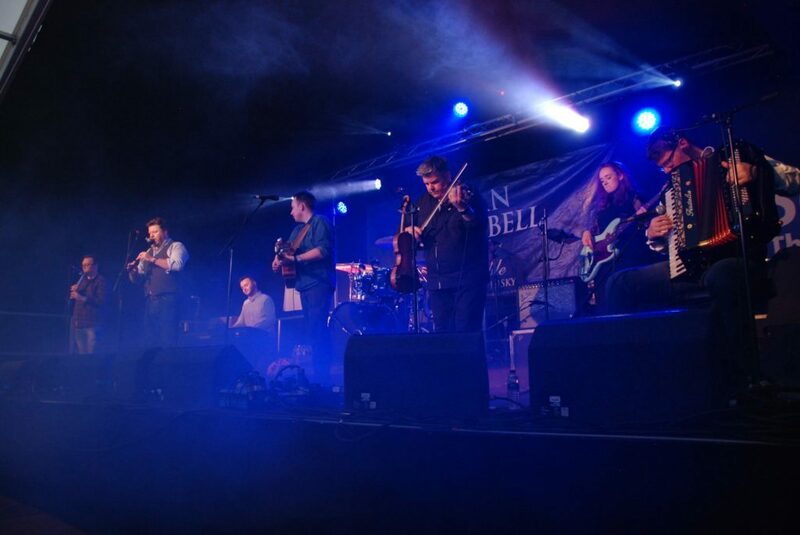 The big hitters were on the main stage. 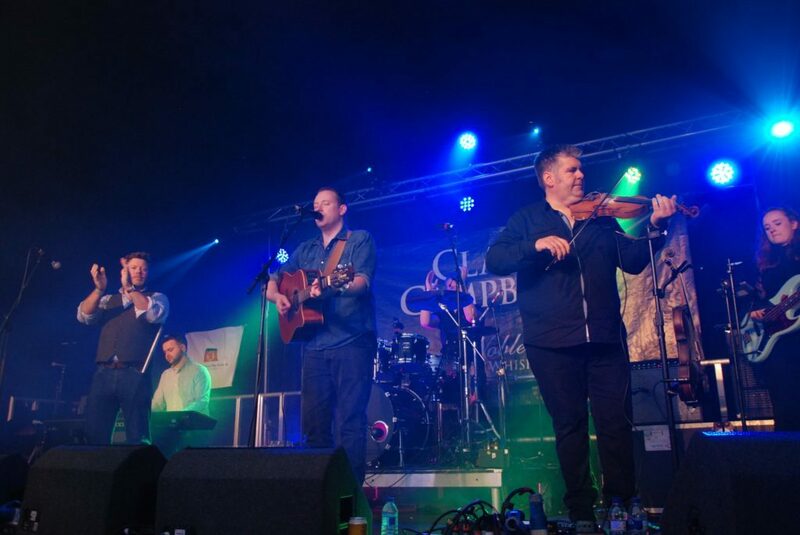 Former Runrig frontman Donnie Munro delighted audience members of a certain age with songs old and new on Saturday evening. 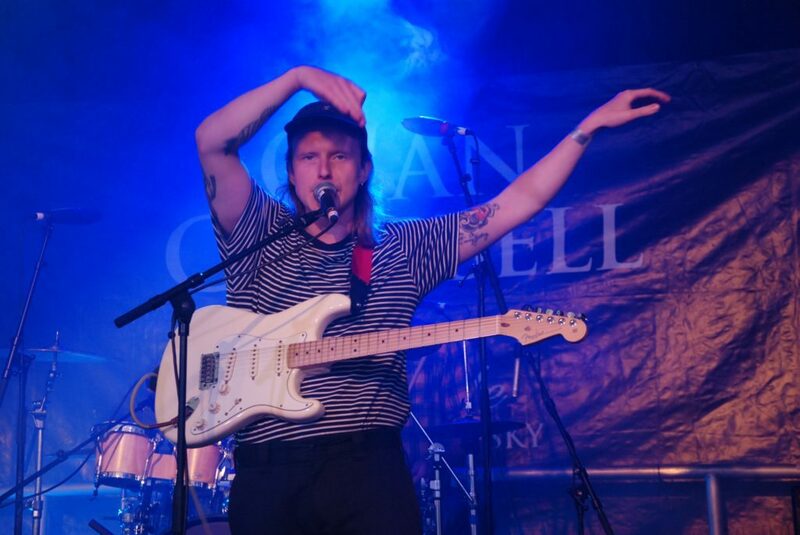 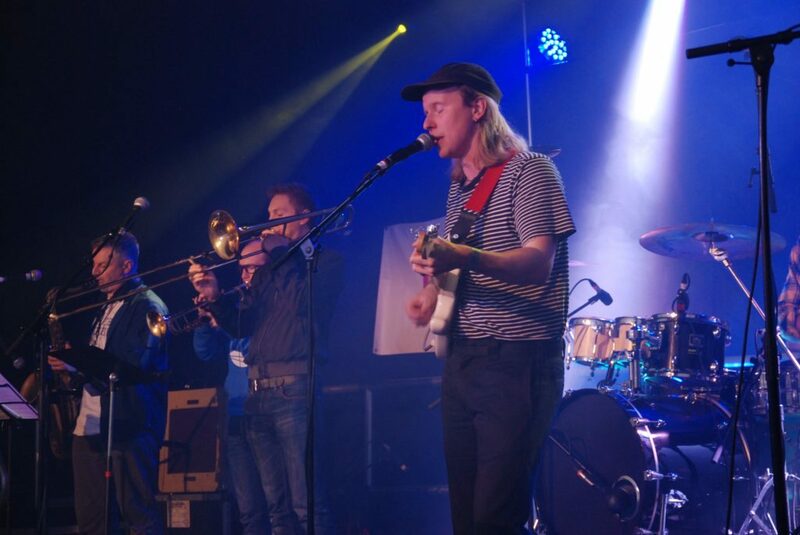 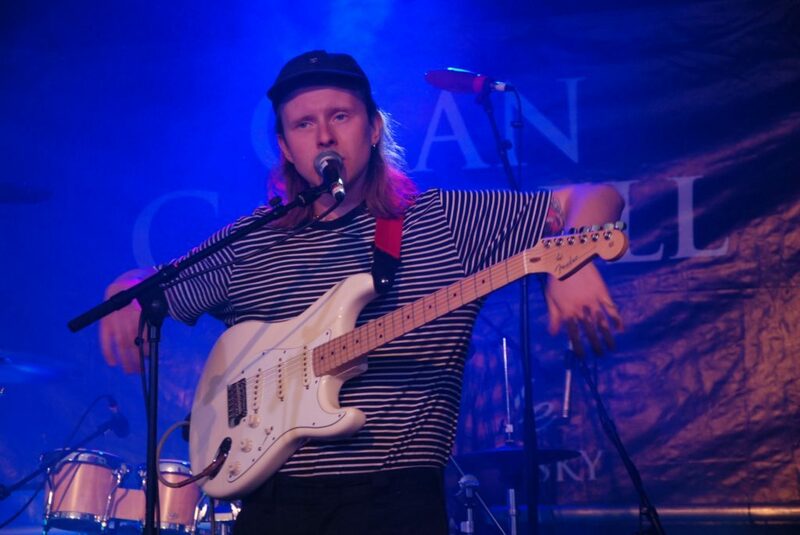 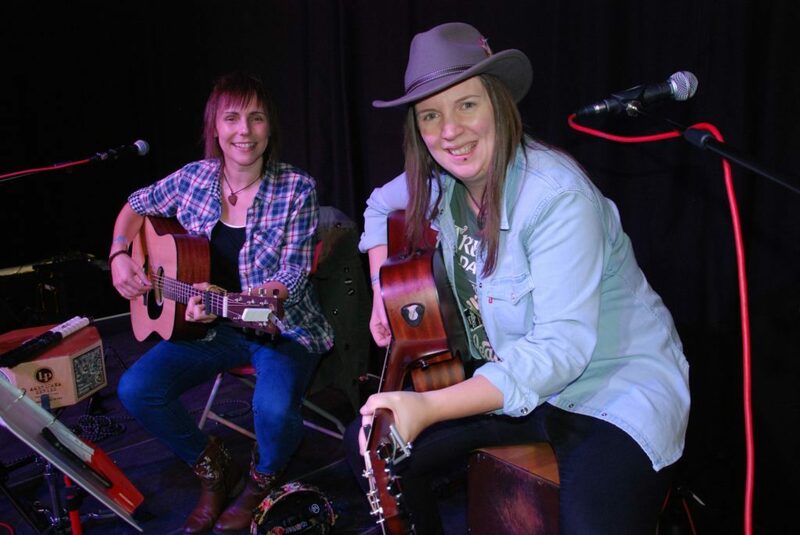 At the opposite end of the experience spectrum, Cowal outfit Heron Valley showed why they are currently home in between US tours. 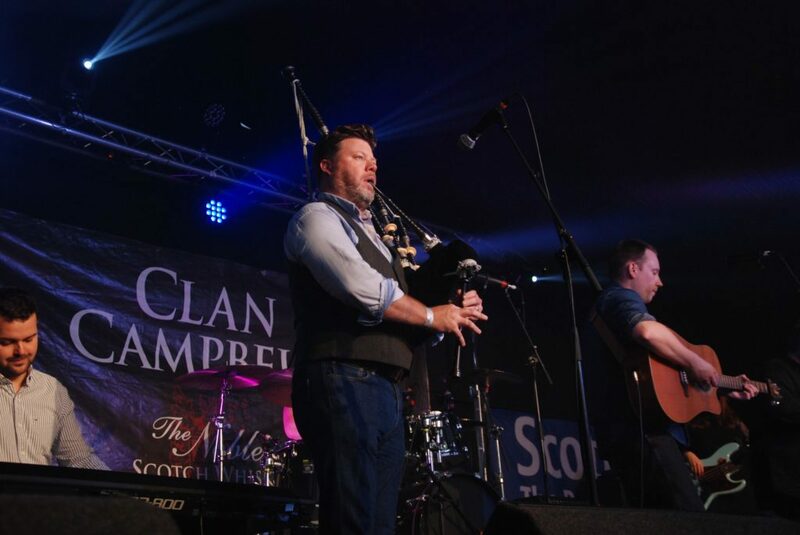 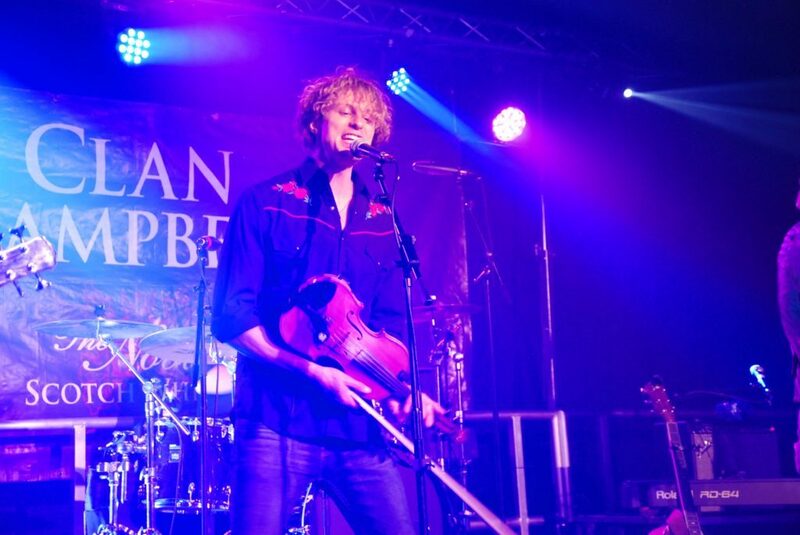 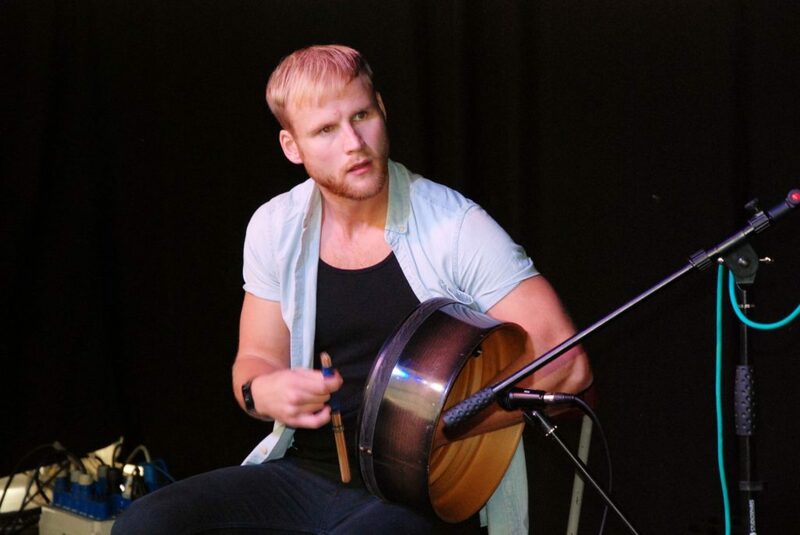 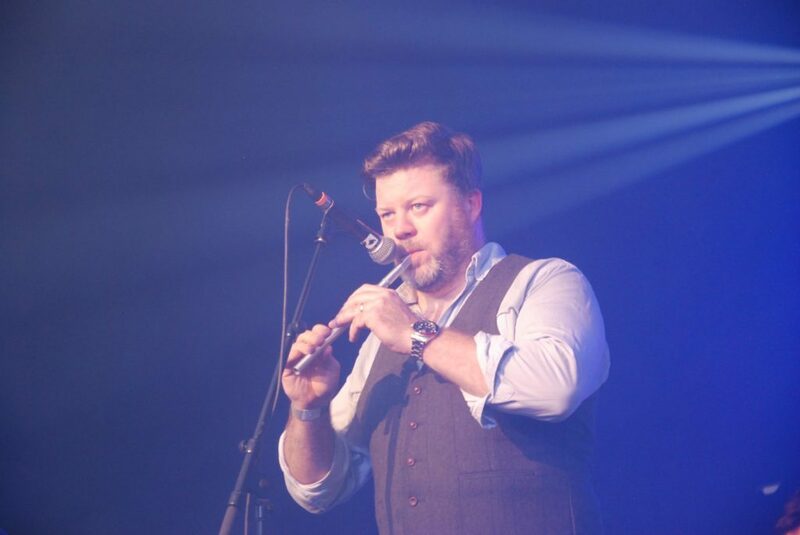 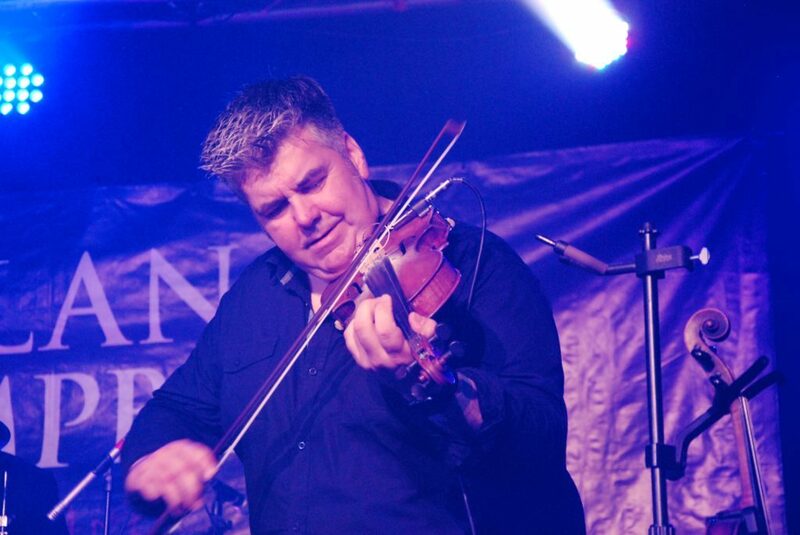 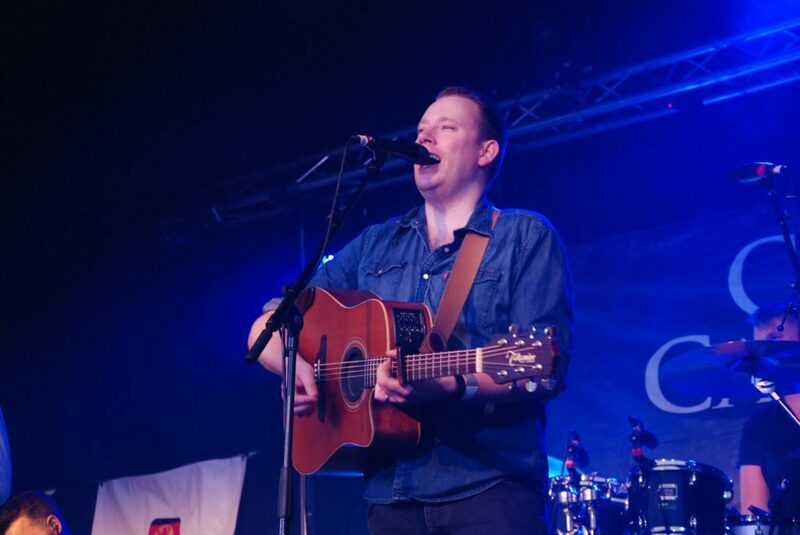 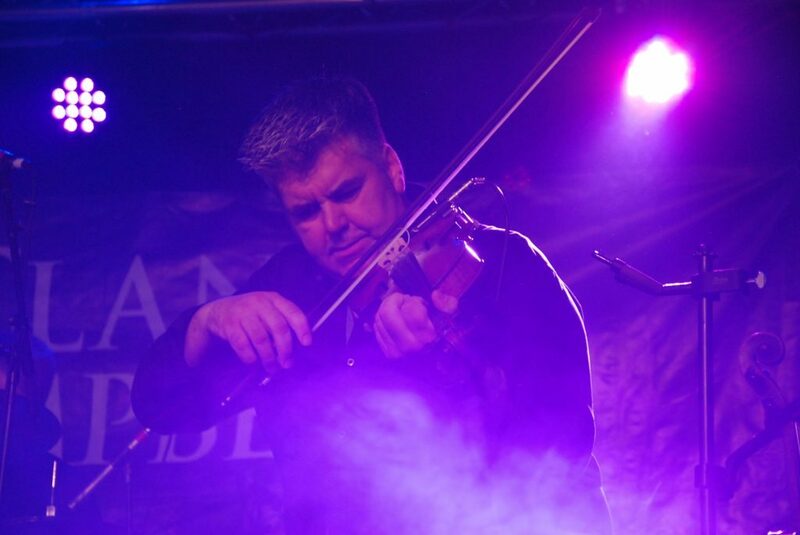 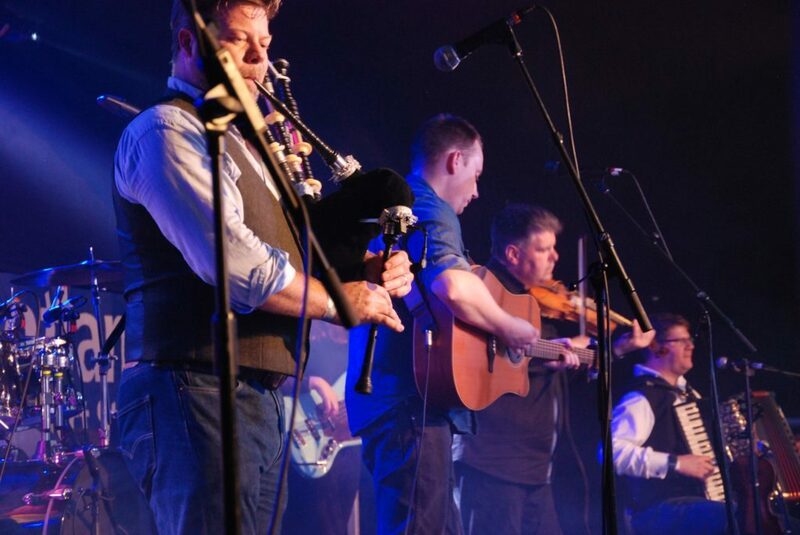 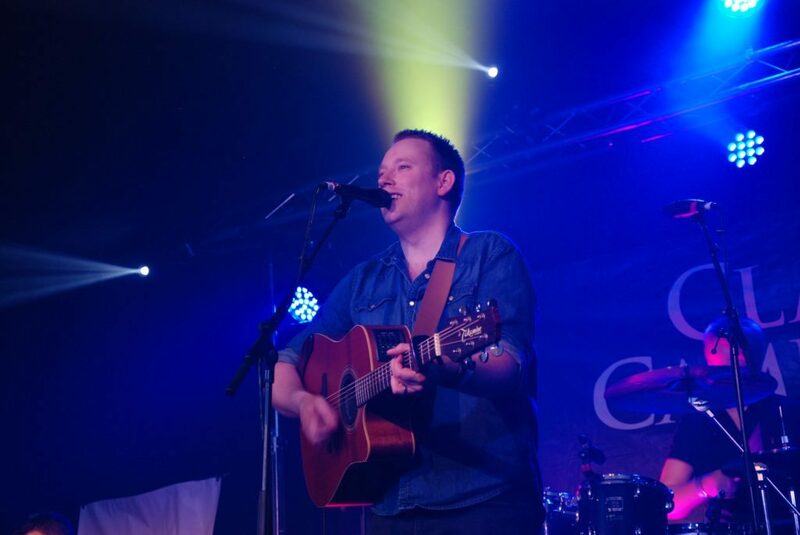 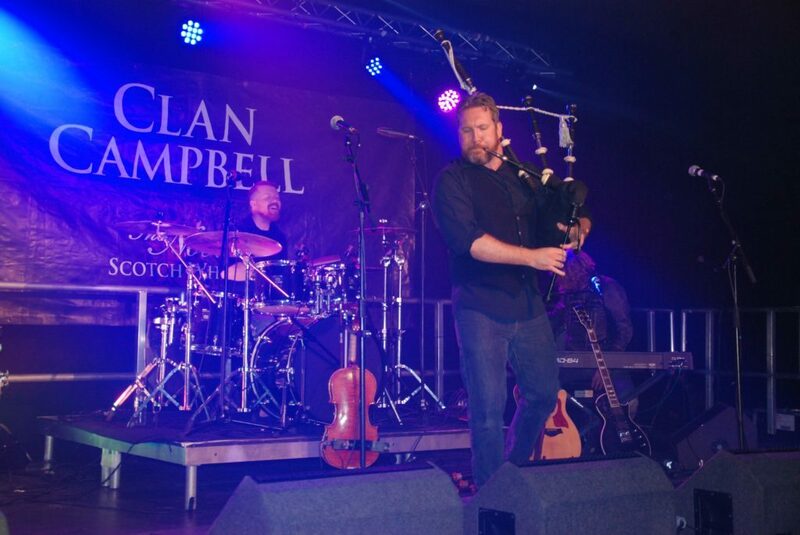 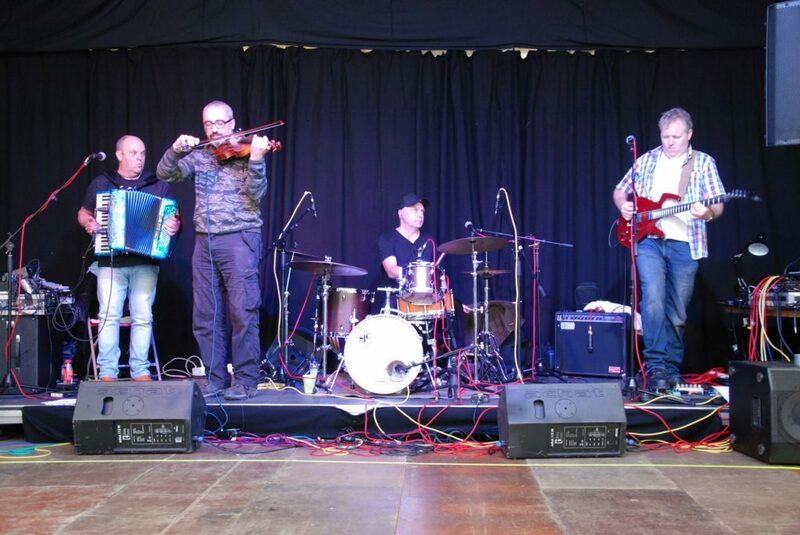 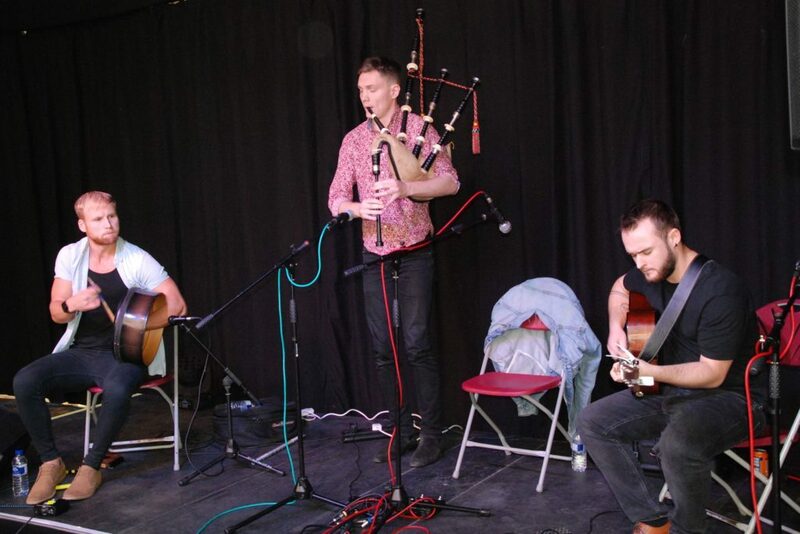 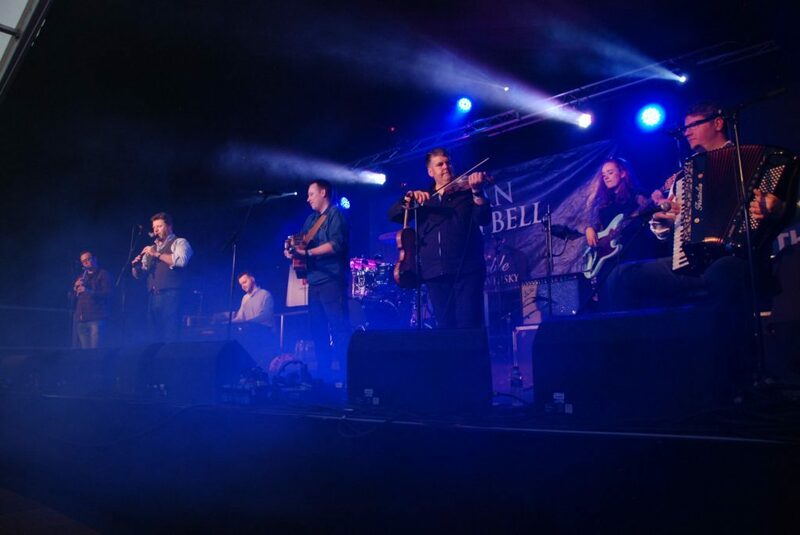 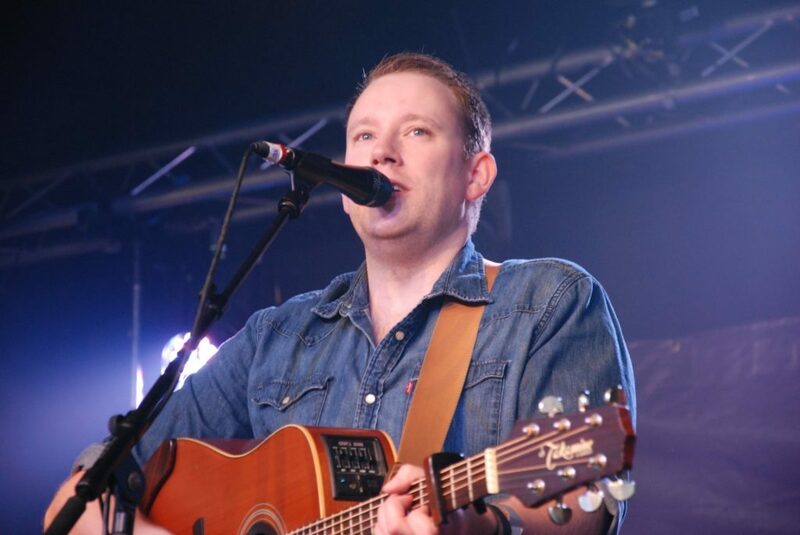 The energetic Celtic sound of American band Seven Nations had the Friday night joint jumping ahead of Tide Lines, lead singer Robert Robertson all blue eyes and boundless energy. 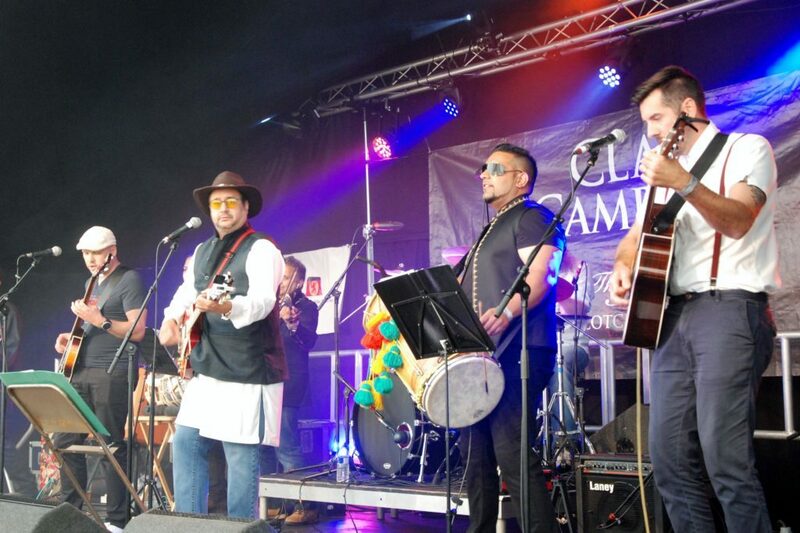 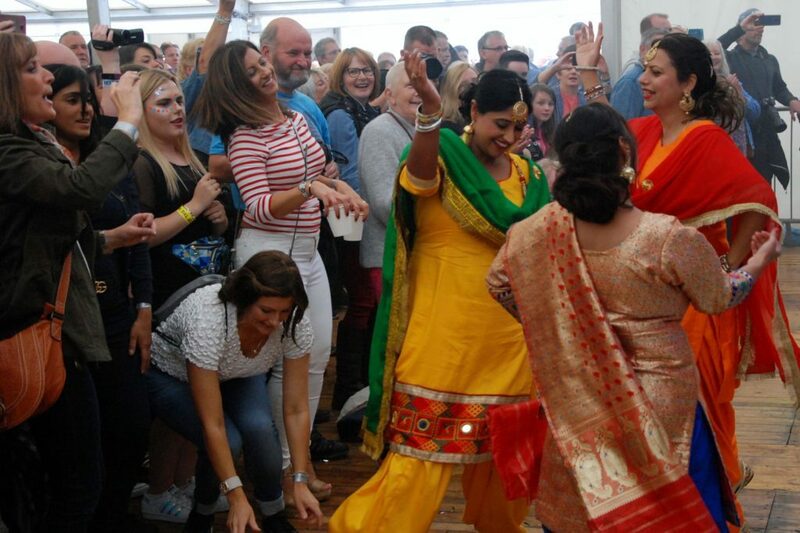 Arguably the Saturday show was stolen by the colour, noise and drama of the Bhangra Beatles – with Fab Four favourites handed an Indian twist of spice. 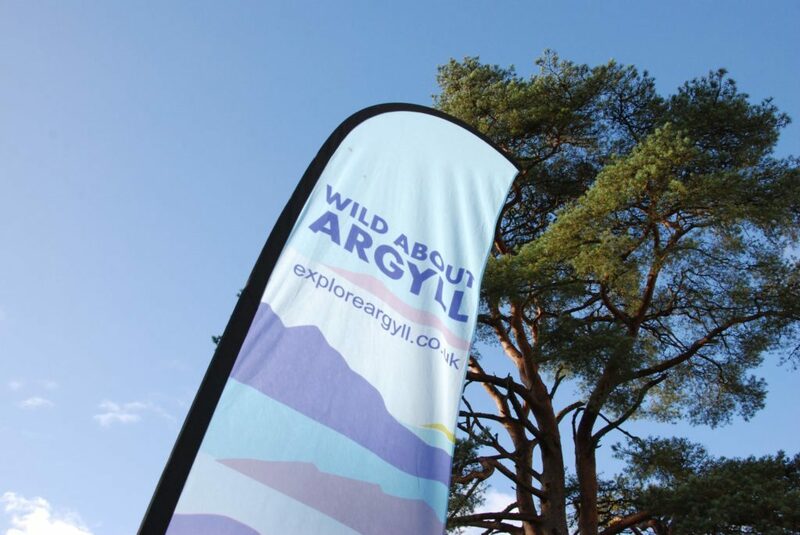 Argyll acts held their own and more among illustrious company. 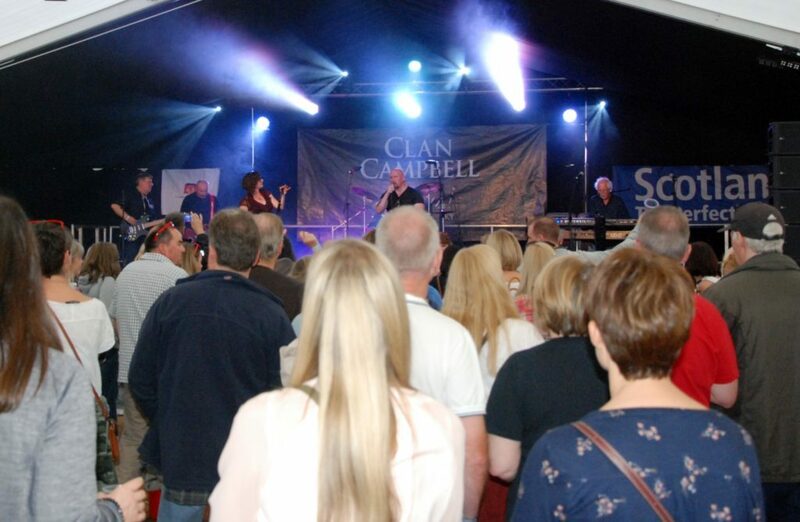 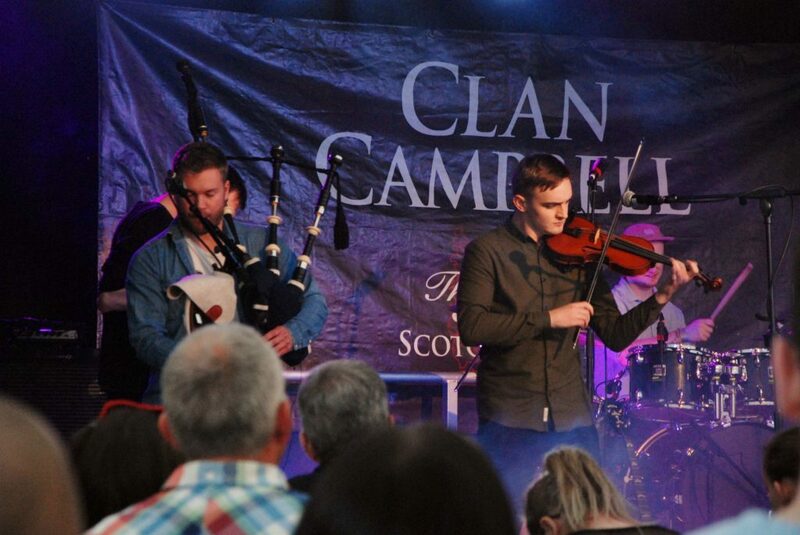 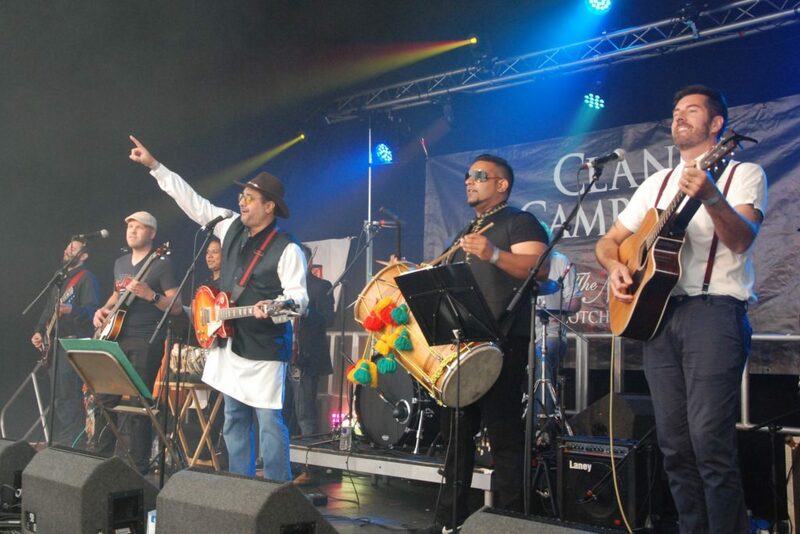 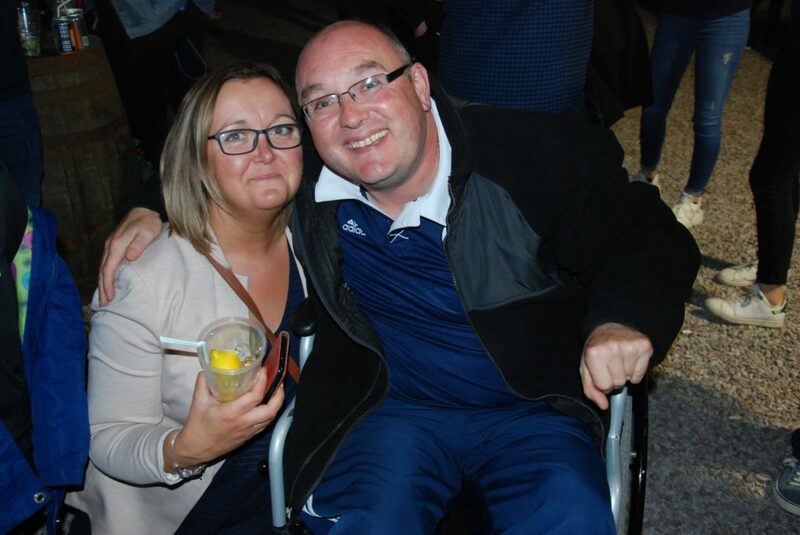 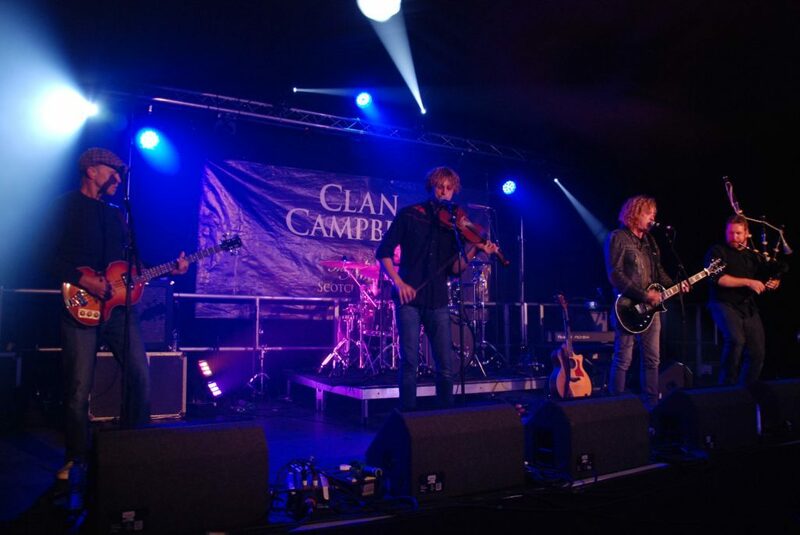 The Camans, Rhuvaal, Dr Hip and the Blues Operation and Ri Cheile put on cracking performances. 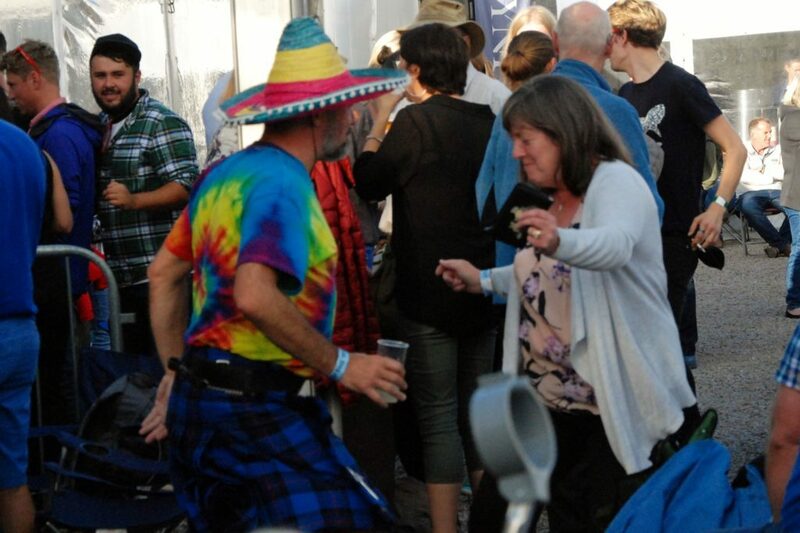 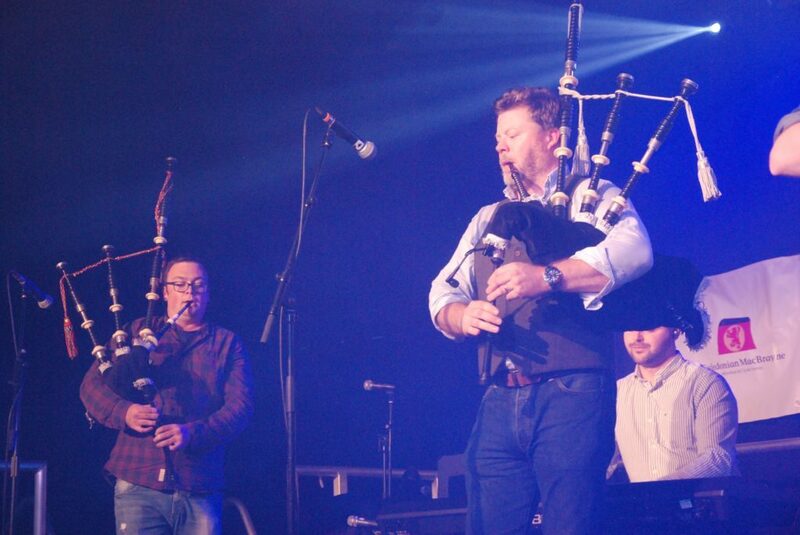 The whole thing was rounded off with a bang by Trad supergroup Skipinnish. 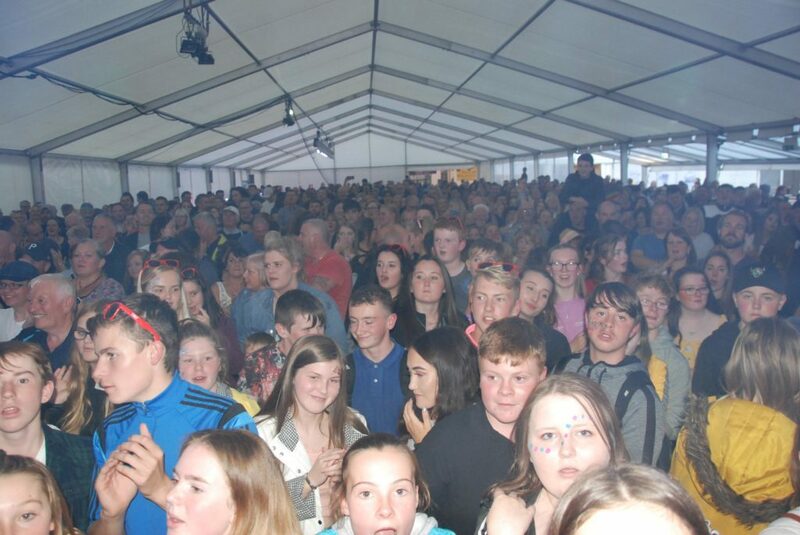 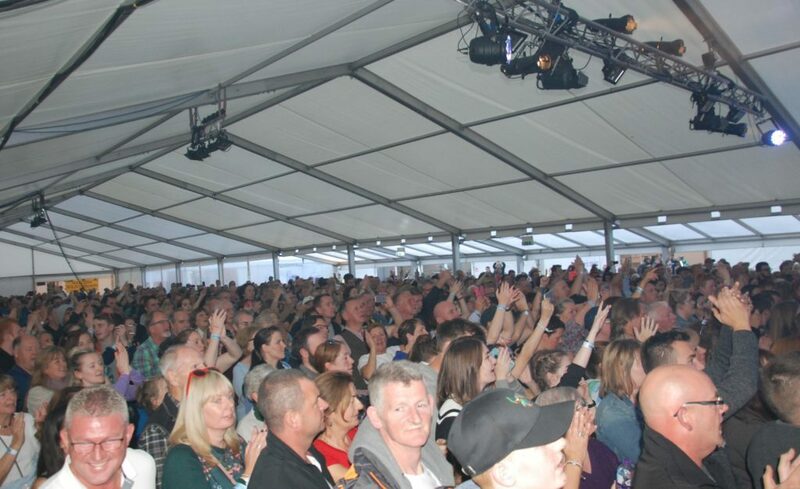 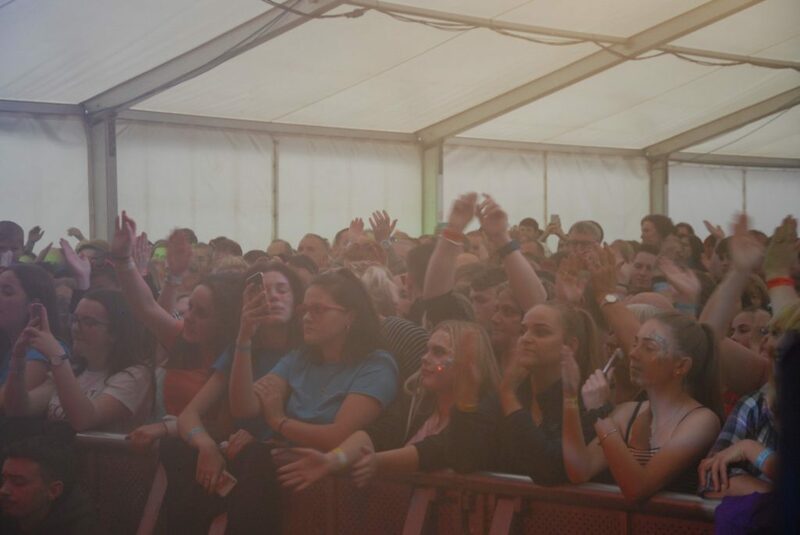 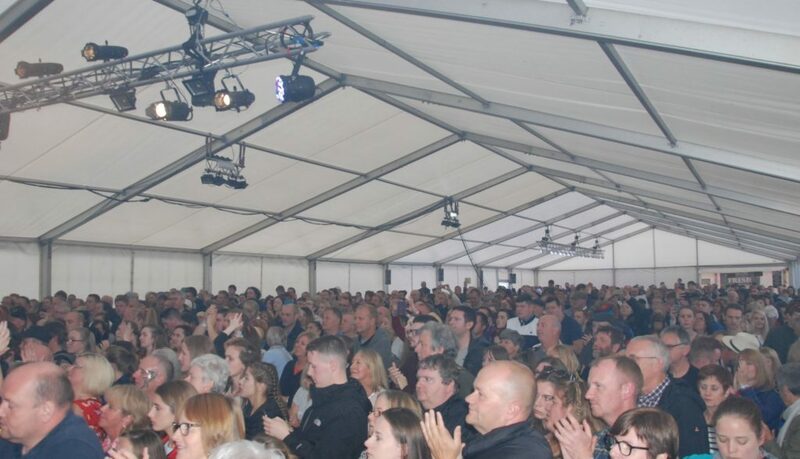 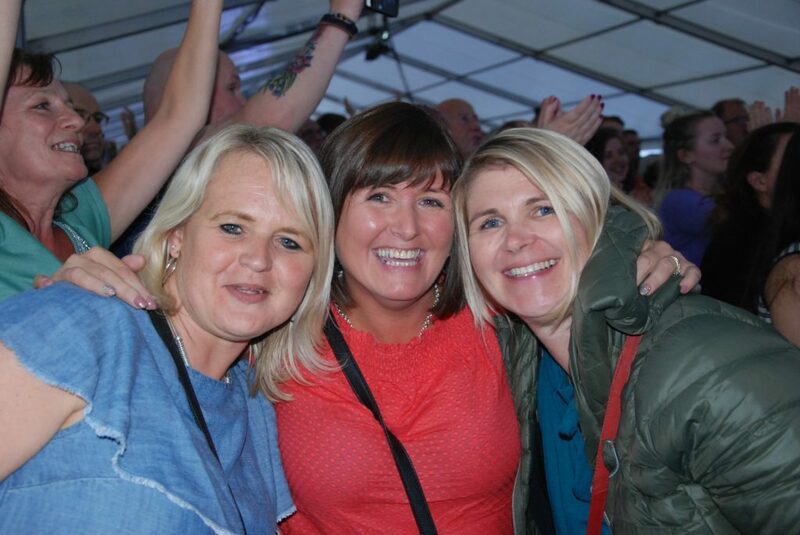 The main marquee, packed with folk of all ages, was bouncing. 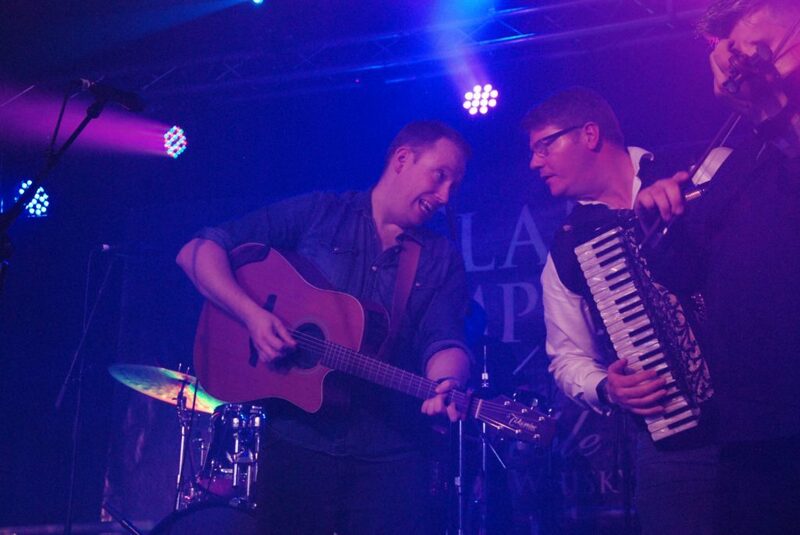 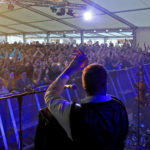 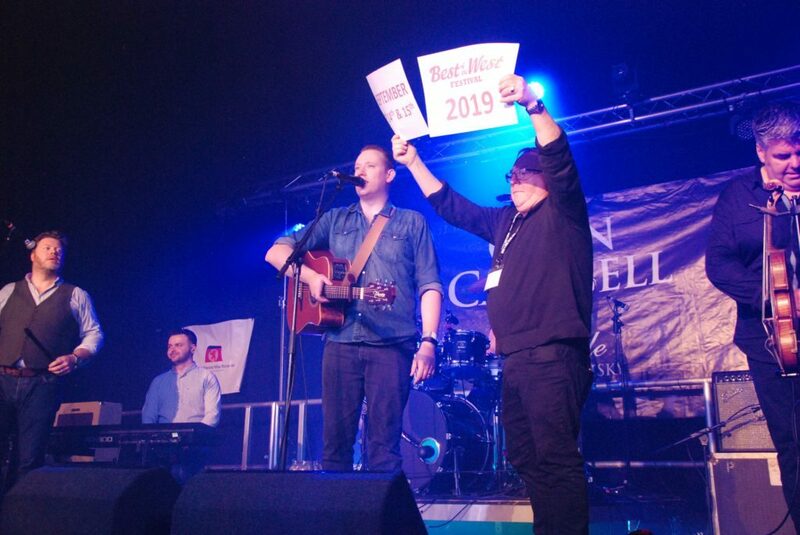 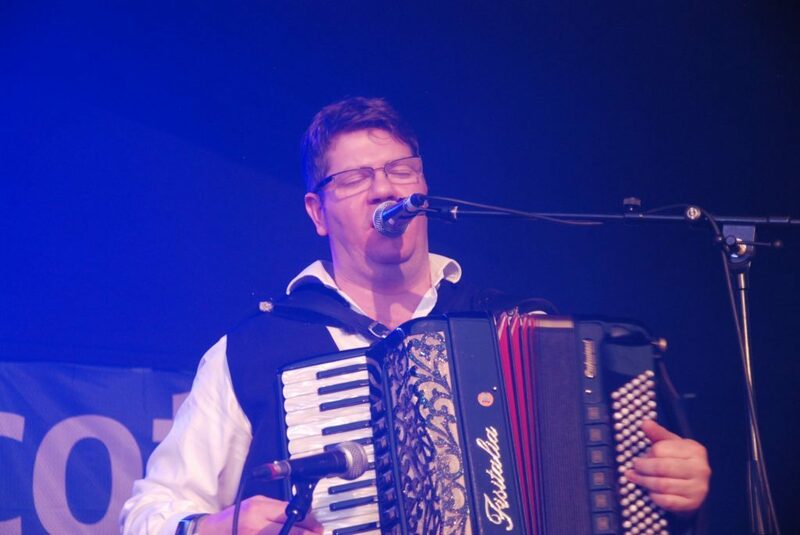 Warmed by Skipinnish classics including ‘Walking on the Waves’ and ‘Alive’, the audience was given a ‘heads up’ of next year’s dates. 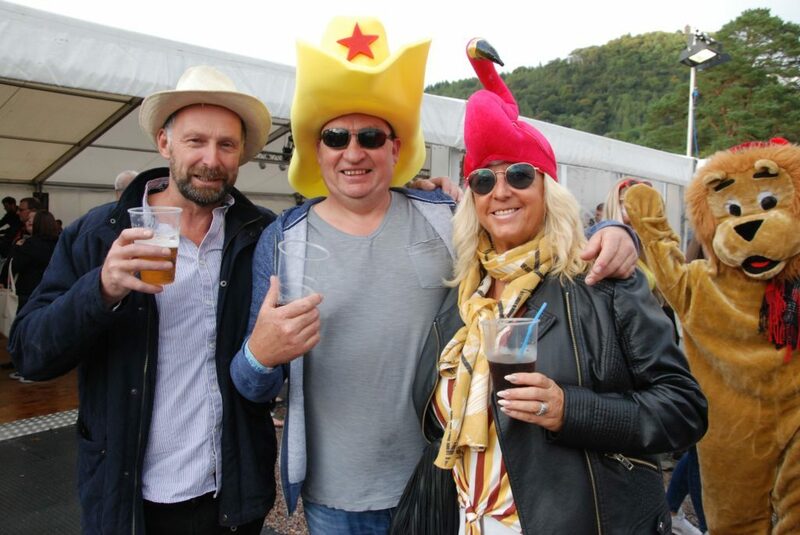 September 13 to 15, 2019 – mark it in your diary.